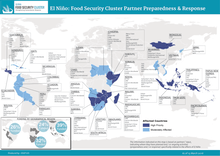 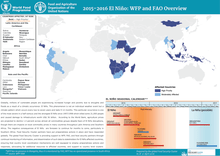 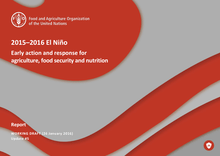 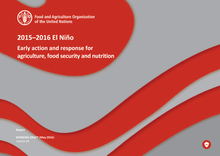 Globally, millions of vulnerable people are experiencing increased hunger and poverty due to droughts and floods as a result of a climatic occurrence: El Niño. 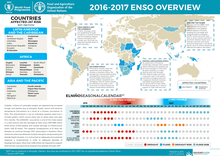 This phenomenon is not an individual weather event but a climate pattern which occurs every two to seven years and lasts 9-12 months. 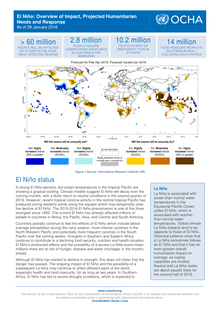 This particular occurrence is one of the most severe in a half-century and the strongest El Niño since 1997/1998 which killed some 21,000 people and caused damage to infrastructure worth US$ 36 billion.